Power shortages may spoil the government’s plans to light up the capital Malé City on Independence Day, the State Electric Company (STELCO) has said. A crucial 8MW generator is down at the power plant due to an unexpected failure and may take up to two weeks to repair. Ibrahim Rauf, the STELCO spokesperson, said the company may have to cut off power intermittently at different areas in Malé due to the generator failure. It is one of the two 8MW generators at the power plant. There are a number of smaller power generators. “The lights alone will use around 2.5 MW of electricity from our grid. We are very concerned and saddened because the lights may also suffer due to the power cuts,” said Rauf. The Supreme Court, the President’s Office, the smoke stacks at the power plant, the foreign ministry and numerous government buildings have been decked from the ground floor to the top in red, green and white LED lights. Malé uses 46MW of electricity on average, but the amount could go up to 52MW at peak hours or on dry and humid days. Rauf said he expects electricity demand to be high on Independence Day, but stressed that only some areas will suffer power cuts, meaning most of the buildings in Malé will continue to be lit-up. It has been raining on and off in Malé this weekend, but July 26 is expected to be dry, according to weather forecasts. Power cuts will last only one hour at high demand periods, and will be spread out in different areas of Malé, Rauf said. STELCO is yet to determine the cause of the generator failure. Finance minister Abdulla Jihad previously told Minivan News the budget was MVR150 million (US$9.7million). 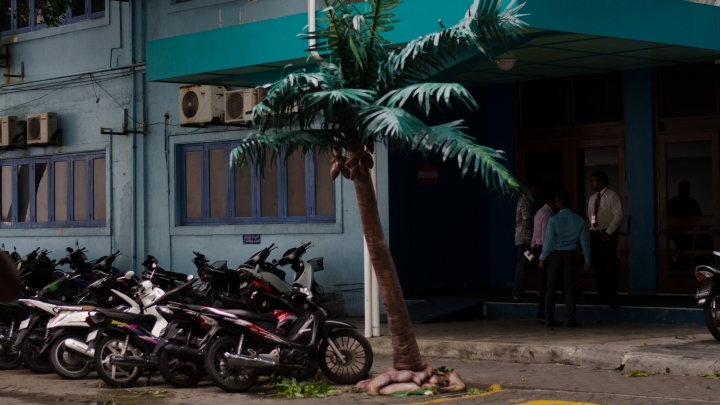 Plastic palm trees have been placed on Malé’s streets and several areas at Male’s waterfront have been closed off as the government rushes to complete major renovation projects including a new official jetty and a musical water fountain at the Republic Square before July 26. 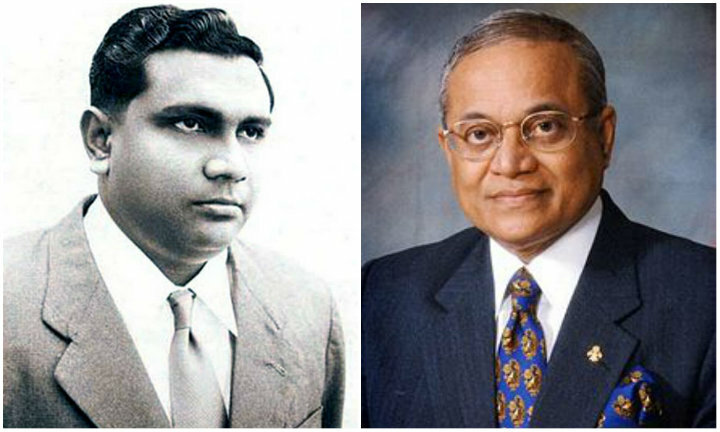 Grand celebrations are expected on July 26 as the Maldives marks the golden jubilee of independence from the British. The plastic palm trees will be strung with lights, says the home ministry. Several masked men, which the opposition claims are rogue policemen, in October last year chopped down all of Malé City’s Areca palms. Jailed ex defence minister Mohamed Nazim claimed during a trial on weapons smuggling charges that he was framed after the fallout with the police and tourism minister over the cutting down of palm trees. The government later prevented the Malé City Council from replanting the palms. 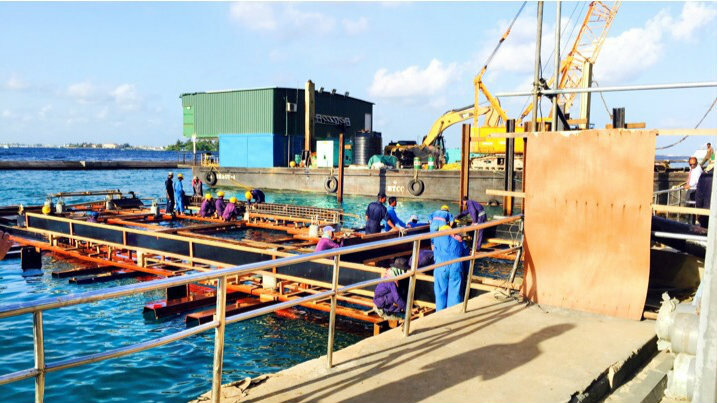 The presidential jetty on Malé’s waterfront has been dismantled, and barges with cranes have been brought in as soldiers work around the clock to finish the jetty within two weeks. 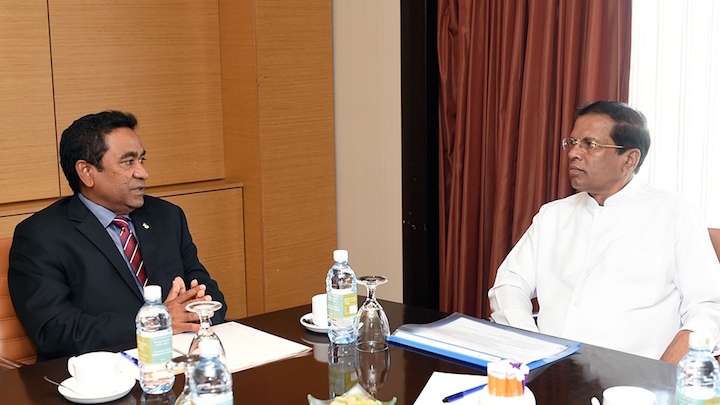 The government insists the jetty will be completed, but says dignitaries for the official independence day function will be received at the T-jetty in front of the local market area, and not at the presidential jetty. The Republic Square has meanwhile been closed off for months for renovations and a brand new water fountain. The official celebrations will not be held at the Republic Square, but at the Usfasgandu area on Malé’s southeast corner, the president’s office has said. The Usfasgandu is traditionally used by the opposition for its activities. Renovations began this week at the Usfasgandu area. Cranes are at work leveling the area, while workers are putting up new walls. “All of the planned renovations will be completed by July 26,” said Ibrahim Muaz Ali, the president’s office spokesperson. The government has not yet disclosed the program for the day. 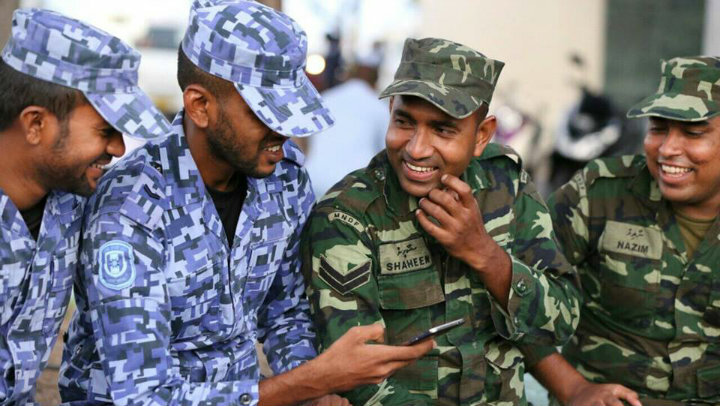 Officials have previously said that the government will hold an official function, soldiers and school students will hold a parade, and official games will be held at the national stadium. Renovations are also underway at several parks and public monuments in the city. 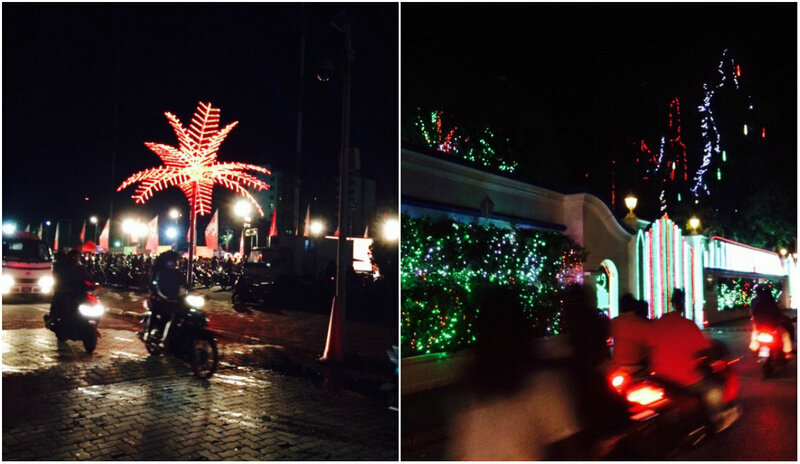 Malé’s streets and the smoke stacks at the power plant have been decked in green, red and white national flags. An army spokesperson also said all renovation work is on schedule. If not, soldiers may be brought out to complete work. But there is no such indication yet, he said. The army is only in charge of the official jetty at present. Mohamed ‘Mundu’ Hussein Shareef, the presidential affairs minister, last night dismissed allegations of corruption in the use of the independence day budget. The home ministry has received special permission from the finance ministry to award some projects without a bidding process due to lack of time. He refused to disclose the total amount allocated for independence day, but finance minister Abdulla Jihad last week told Minivan News the budget was MVR150million (US$9.7million). The Anti- Corruption Commission began a review last week after receiving complaints of lucrative projects being awarded to private companies without a bidding process. The Minivan 50 office awarded a restaurant New Port with an MVR1million catering contract and a British company called The Projection Studio with a contract to manage sound, light and projection at the official celebrations. Hundreds of goats were sacrificed in a public ceremony in Malé on Thursday evening in a government-organised celebration of 50 years of independence.